We see a lot of short and simple, get-the-job-done wedding ceremonies. In all honesty, it takes about 10 minutes to actually "get married." But what if you want to incorporate some personality or pizzazz to your wedding? 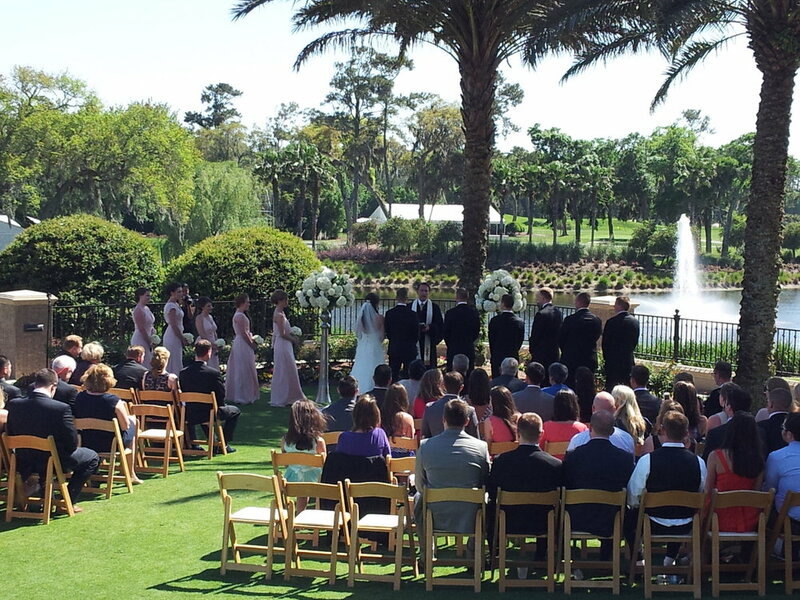 We've had several ceremonies recently where the bride and groom traveled to Ponte Vedra Beach for their weddings. But rather than hiring a local minister, they brought theirs with them! When an officiant has a personal connection with the couple, the ceremony is so much more meaningful. They can offer little anecdotes, and put the bride and groom more at ease during one of the more serious parts of the wedding day. Lots of couples chose to include a unity candle or sand ceremony into their wedding. But there are also other options - rose ceremonies, handfasting, seashell/stone blessings, wine ceremonies, to name a few. Ask your officiant if they have suggestions. Also look to your religion or culture for ideas. Even if you aren't have a "religious" ceremony, there may be little nods to your heritage that you can include. Of course, the best way to personalize your ceremony is to write your own vows! If you decide to do so, be sure to give yourself plenty of time! This isn't something to be rushed. Also, discuss the tone of your vows with your significant other. You don't want to make yours funny while his are super serious. You may also want to ask a close friend or family member to read both sets of vows (if you plan don't plan to read them to each other before the wedding) to be sure they match in tone and length. However you chose to personalize your wedding ceremony, remember that you are promising to love, honor and cherish your fiance til death do you part. Make it a special and meaningful time for the two of you!